Team17 and indie developer Black Matter announced today that their upcoming World War II shooter Hell Let Loose is coming to Steam Early Access this June. 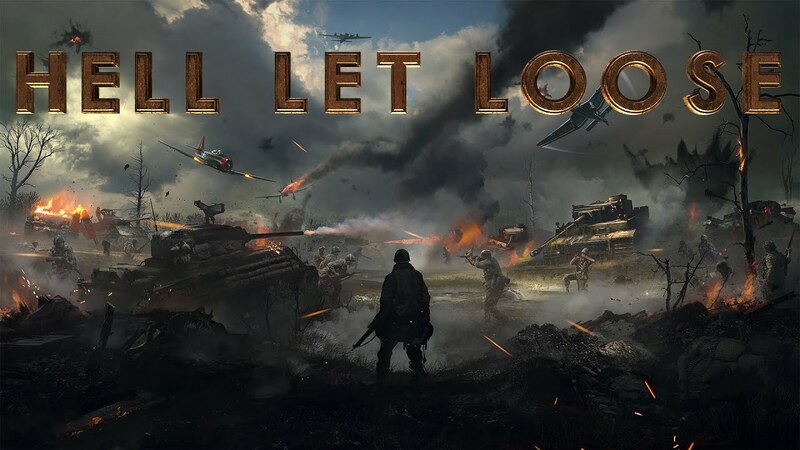 Hell Let Loose is a teamwork-based multiplayer first-person shooter that takes place during World War II, built with Unreal Engine 4. It has 50 vs 50 tactical battles where players have to work together to coordinate and capture various sectors and resources. It's also bent on being realistic, and that means it sounds pretty challenging, too. You can pre-order now if you're interested in enlisting early, which will grab you a place in three upcoming betas for yourself two friends ahead of the game's launch. You can expect the first to drop on April 5, with additional betas at a later date. Black Matter's Kickstarter campaign backers will be able to join at that point as well. There are a few different pre-order packs you can choose from, including the Soldier Pack or the Unit Pack. The Soldier Pack comes with a Steam code for the game, access to three betas before the game launches in early access, and additional beta keys for friends. The Unit Pack comes with 6 Steam game codes and access to 3 betas before launch. It also comes packing a 10 percent discount. Each pack will get a special pre-order helmet for both U.S. and German forces as well, such as the US 505th 82nd Airborne Variant and the German M42 Helmet Cover with Sniper Veil. If you're interested in trying the game out, you can get in on the first beta this April, but you'll have to make sure you don't forget to pony up the cash needed to do so. We're looking forward to seeing what it has to offer, that's for sure – it looks pretty cool!